Curiosity killed the cat, so the saying goes. Curiosity scared the hell out of the cat is more like it. After four long days of work in Denver, I had a little time to take in the sights. 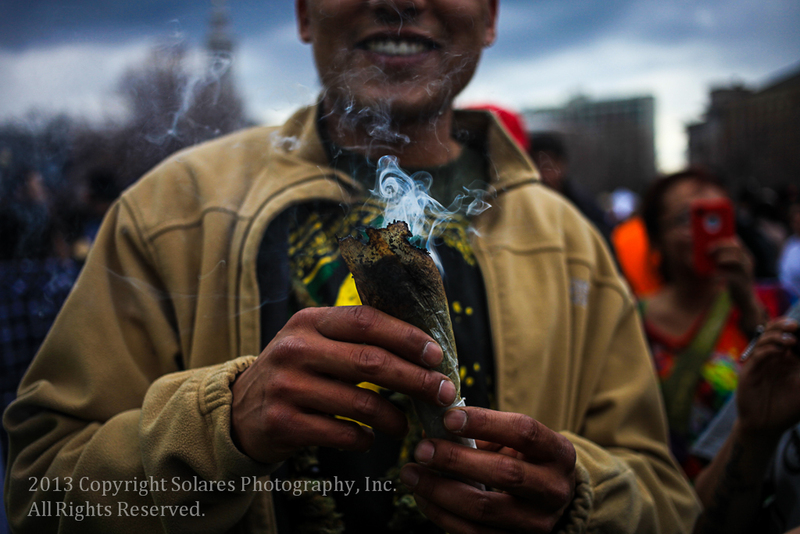 I have been to Denver before, but not since its citizens voted to legalize marijuana for personal use. 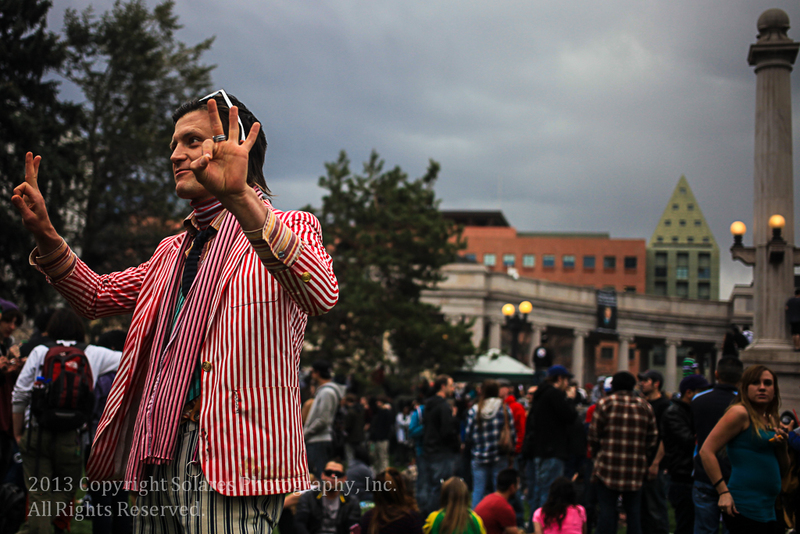 The annual 420 festival was taking place at Civic Center Park. It was a few blocks from my hotel. I decided to head to the park to make a few photographs of the people enjoying the event. I thought it may be a very interesting scene. A crowd estimated at 80,000 people gathered to take in the festivities. And breath in the smells of the Mile-High city. 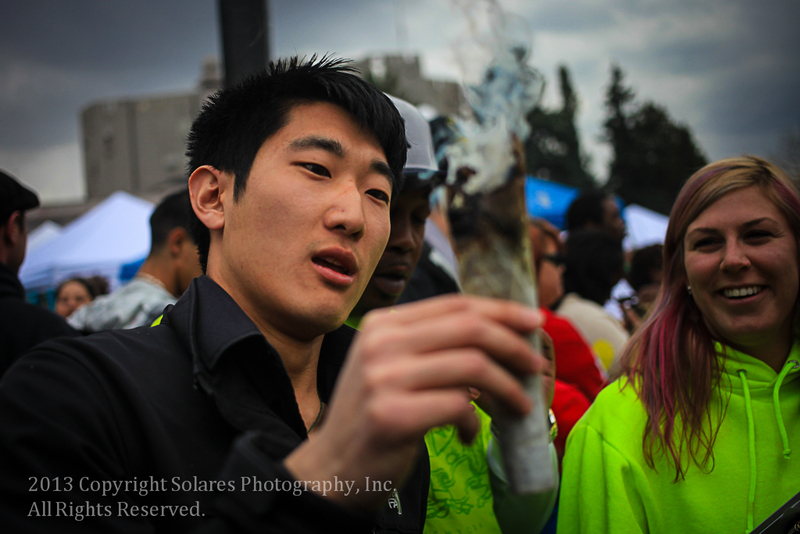 It is quite a sight to see people taking puffs from giant marijuana joints, right by police officers. 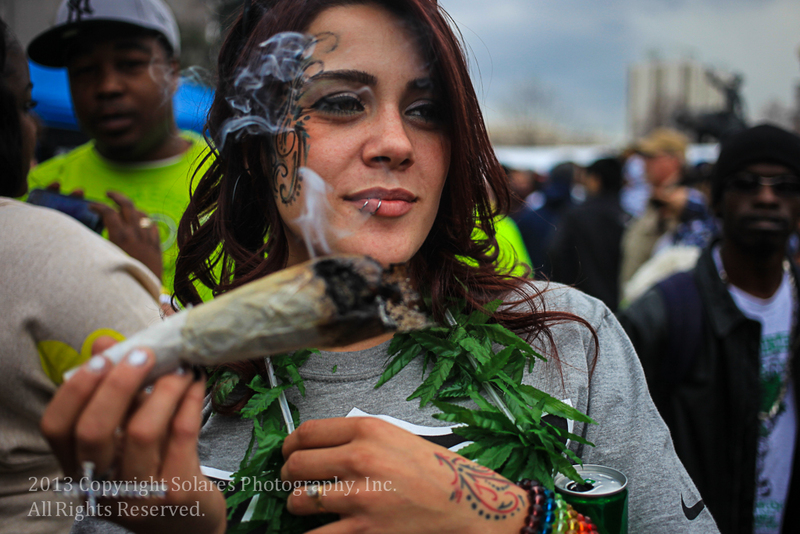 People enjoying weed legally in public. It was a peaceful rally. Until shots were fired. I heard three shots. People paused. Then people hit the floor. Taking cover. People panicked. A split second later they were rushing away from the shots. In the stampede people were running over each other. It was like an ocean wave during a hurricane. Powerful and reckless. I rode the wave out of the crowd. I took cover behind a cement wall. Then I saw police move in, guns drawn. 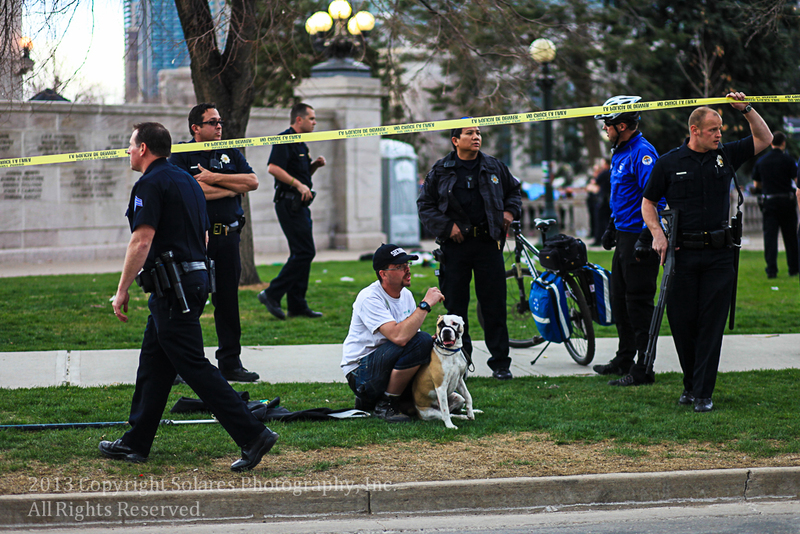 After the police secured the scene I looked at the aftermath. I saw a man full of blood being treated by his friend and police until paramedics arrived. There were shoes everywhere. 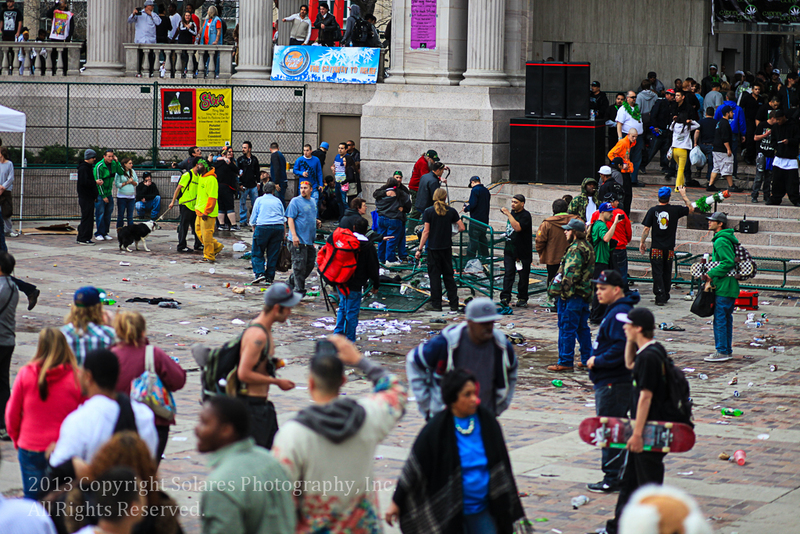 There were people helping those hurt after the crowd scattered. The media reported three people injured by gun fire and there are two suspects. After everything that happened in Boston this past week, people were on edge and I have to say the police were ready for any incidents. I’m happy to be on a plane going home to my family. Safe and sound. Hug those you love everyday!